The race for "Best Dressed Lady" at the 2018 Ladies Day event at Gosforth Racecourse is a race worth winning. The first prize is amazing. We've tried to work out exactly what it's worth, but we have to admit that we're not quite sure. Especially as some of the items appear to be 'money can't buy' exclusives. One thing we are sure of however is that whoever does win will be over the moon. Two return flights to Istanbul from Newcastle (Turkish Airlines). £500 Cruise Vouchers (Collingwood Insurance). £200 Intu Gift Card (Intu Eldon Square). £50 Lunch Voucher for Filmore & Union (Filmore & Union). VIP Night at AVEIKA, Dinner for 4 in Restaurant (AVEIKA). Overnight stay at the Vermont Hotel (excludes Saturdays) (Vermont Hotel). £100 Revolucion De Cuba Voucher (Revolucion De Cuba). Spa Day for Two with 60 Minute Treatment (Ramside Hall Spa). Inglot Make Up Goody Bag (Inglot). Magnum of Moet (Moet & Chandon). Make Over and Photo Shoot (Tyne Tees Models). Two Ladies Day 2019 Tickets (Newcastle Racecourse). Ladies Day is on Saturday 28th July 2018 at Gosforth Racecourse, Newcastle. All you need to know is here: https://www.newcastle-racecourse.co.uk/whats-on/28-july-2018. 2017 Finalists - Best Dressed at Ladies Day, Gosforth Park. 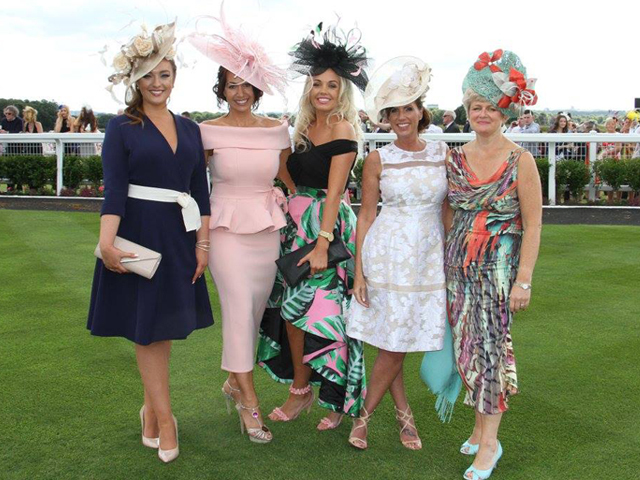 In 2017, these five ladies were chosen as finalists for the 'Best Dressed' award at Ladies Day, Gosforth Park Racecourse. Winner Marie (in pink) was handed a top-prize goody bag which besides flights for two to Dubai, also included clothing vouchers, a spa day, makeover and photo shoot, personal trainer membership and VIP treatment at a Newcastle bar/restaurant. Look out for TTM Scouts. Our Tees will have the word 'SCOUT' across the front and our slogan 'MADE YOU LOOK' on the back. Here at TTM we've decided to help you out. First, we've chosen a few images from this year's Royal Wedding to inspire you. Second, we've asked two brilliant North East high-end clothing stores for their recommendations for any last minute purchases. 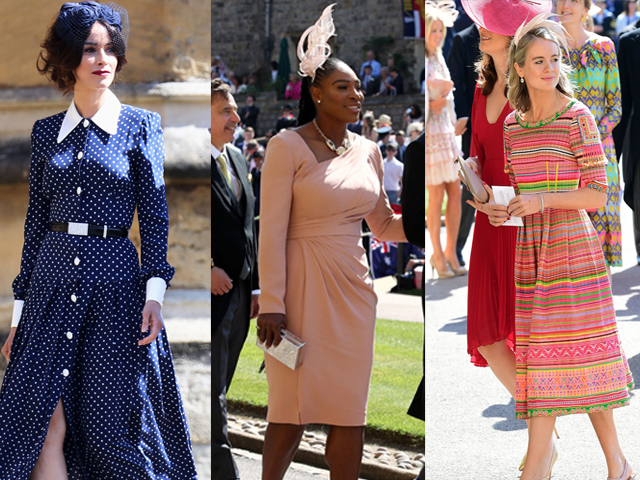 Some of the best dressed ladies at Harry and Meghan's wedding earlier in 2018. 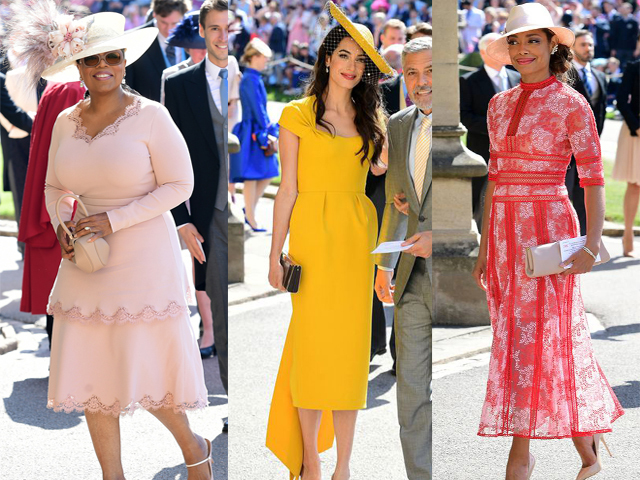 More of Harry and Meghan's wedding guests looking amazing. So there you go. Inside information. Good luck! Ladies Day 2018 is at Gosforth Racecourse on Saturday 28th July. TTM are providing more models than any other agency for tonight's 'CATWALKING" exhibition at The Bowes Museum, County Durham. That in itself is a good thing. However, as we are also going to be in the presence of living legend Dame Vivienne Westwood, a good night just turned into a great one. As many TTM team members as our beautifully produced black, red and gold invitations allow will make their way to the opening of "CATWALKING - Fashion Through the Lens of Chris Moore" - this evening. Chris Moore, globally renowned catwalk photographer, will be there too. 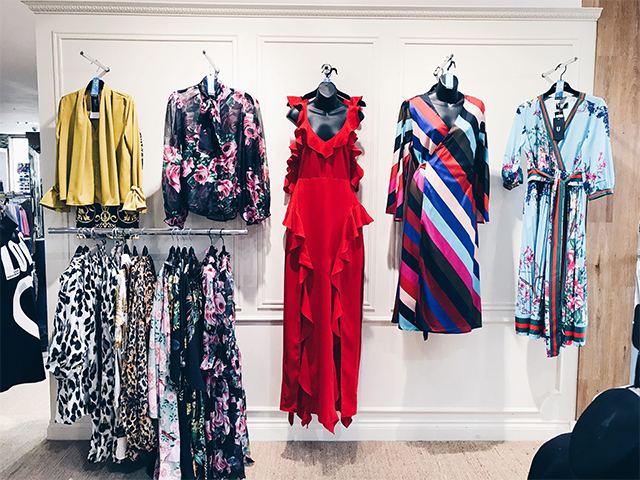 Brands that will be worn by TTM's amazing models include Alexander McQueen, CHANEL, Christopher Kane, The Communications Store, Dior Heritage, Louis Vuitton, PRADA and the Vivienne Westwood Archive. Fridays have never been so good. 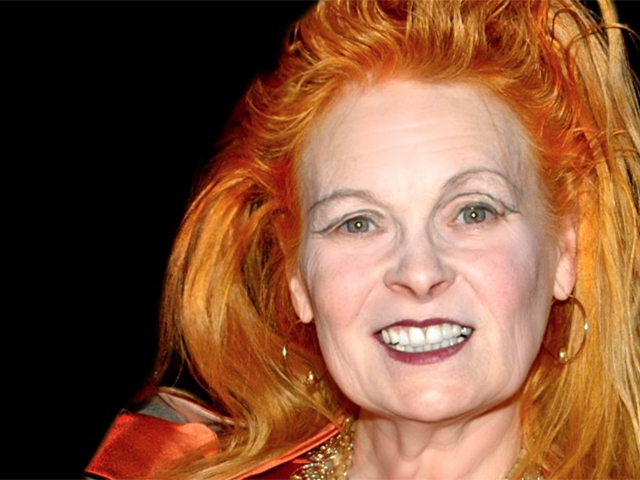 Image: Dame Vivienne Westwood by Mattia Passeri.